SAP BUSINESS INTELLIGENCE , DATA ANALYTICS, BIG DATA, BUSINESS OBJECTS , Dashboarding. What would you do if you knew that certain skills could help you improve your financial position? For years, careers in ERP's (Enterprise Resource Planning) have been providing better than average returns. Many believe that you need a degree in IT in order to gain success in ERP's... false. ERP's have become a bridge between businesses and IT. Thus, one does not require a degree in IT to be a king in SAP, Oracle, Microsoft, Baan etc... all you need is a brain. FoQus Group is not an affiliate of SAP AG. SAP is a trademark of SAP AG. SAP AG is not responsible for any aspect of FoQus Group. FoQus Group is not an affiliate of Oracle. Oracle is not responsible of any aspect of FoQus Group. 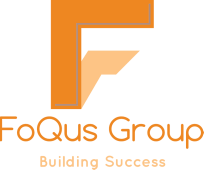 Microsoft is not an affiliate of FoQus Group.